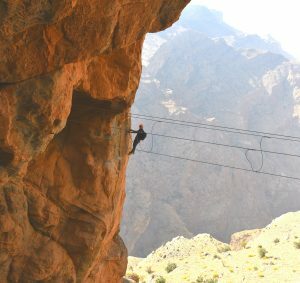 Jabal Akhdar – The Green Mountain in Arabic – is one of Oman’s most remarkable regions. Part of the Al Hajar mountain range, Alila Jabal Akhdar lies 2,000 meters above sea level and overlooks the dramatic gorge and spectacular mountain range. 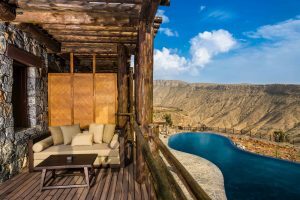 Guests at Alila Jabal Akhdar can relax and unwind whilst enjoy the stunning views of the canyon from the mountain-top infinity pool or at 3 strategic ‘jabals’ vantage look-out points. 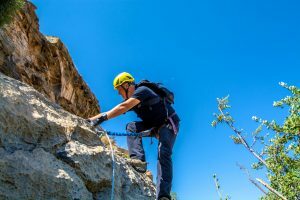 Those looking to explore can make the most of additional exploratory expeditions available at the hotel across this rocky terrain by bike or on foot, enjoying some romantic cliff-side picnics along the way. All the 86 suites and villas come complete with their own balconies or terraces perfect for relaxing in private and watching the night’s sky come alive with stars. | Petrie PR is a dynamic boutique Asia based PR agency providing specialist communications strategy for the luxury lifestyle, travel, property, design and spa sectors. Regionally and internationally connected, our reach spans all the most influential media in China, Hong Kong, Singapore, Taiwan and Indonesia as well as emerging markets including Malaysia, Vietnam and Thailand. We provide effective, integrated solutions, offering a tailored bespoke approach to support objectives and determine the best results to help drive business.